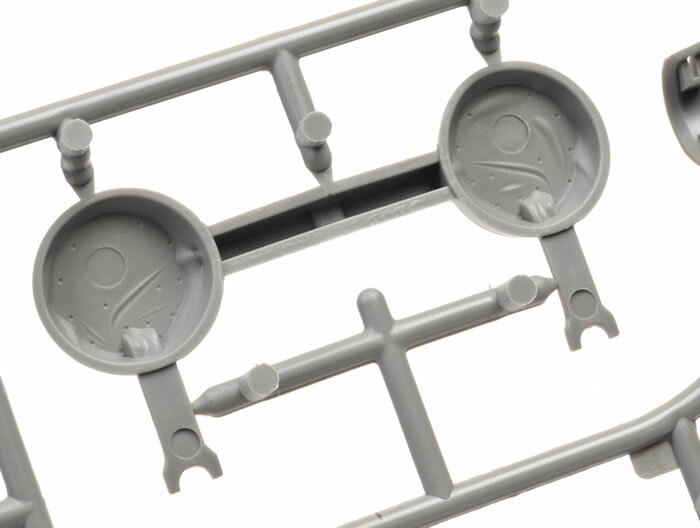 91 parts in medium grey plastic; 12 parts in clear plastic; one decal sheet covering two subjects. Some ejector circles; ventral tunnel aft of cowl flaps not quite right; missing trim tab scribing on one side of the rudder. 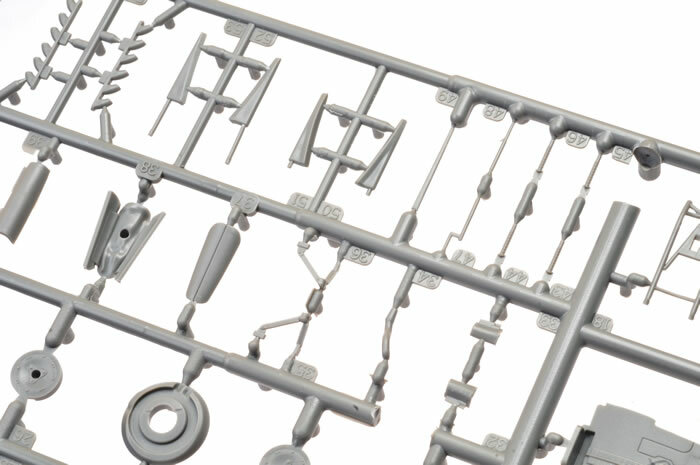 At long last we have a worthy 1/48 scale Curtiss P-40B. 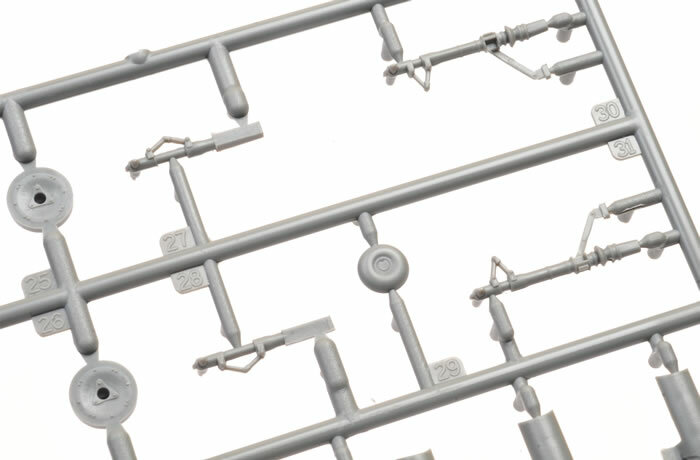 Detail is good, surface textures are Airfix's best yet, parts breakdown is sensible, and the kit is generally very accurate. There is still the issue with the shape of the raised ventral fairing but this is hardly a fatal flaw. 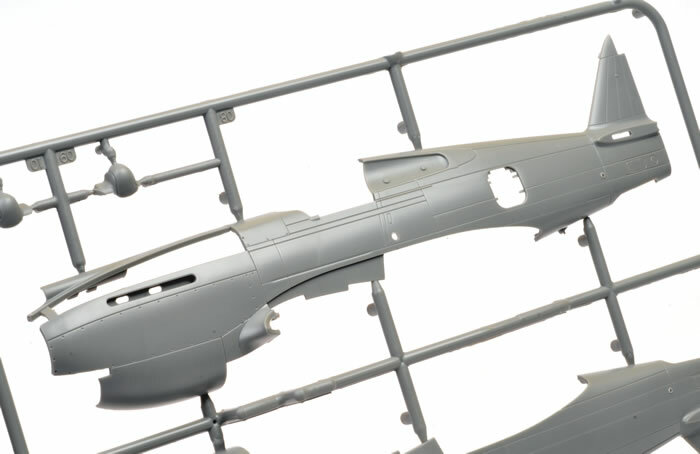 Airfix has now undoubtedly produced the best P-40B/C/Hawk 81 kit in 1/48 scale. There's nothing stopping you now! The P-40 design was a modification of the previous Curtiss P-36 Hawk which reduced development time and enabled a rapid entry into production and operational service. The Warhawk was used by most Allied powers during World War II, and remained in frontline service until the end of the war. It was the third most-produced American fighter, after the P-51 and P-47. By November 1944, when production of the P-40 ceased, 13,738 had been built, all at Curtiss-Wright Corporation's main production facilities at Buffalo, New York. P-40 Warhawk was the name the United States Army Air Corps and after June 1941, USAAF-adopted name for all models, making it the official name in the United States for all P-40s. 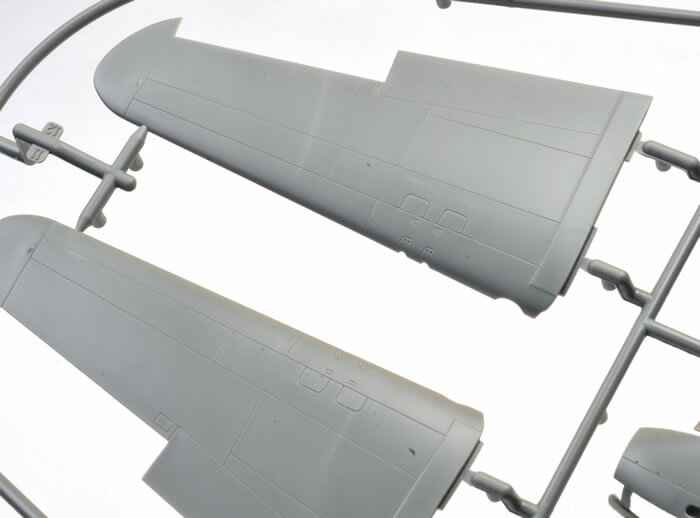 Monogram released their 1/48 scale P-40B around 1964. It was an excellent kit in the 1960s but suffered from attributes that would cause most modellers to shun it today - raised panel lines and a very basic level of detail. In its favour though, the shapes were accurate. That is more than could have been said for the Hobbycraft 1/48 scale P-40B kit, released in the 1990s. 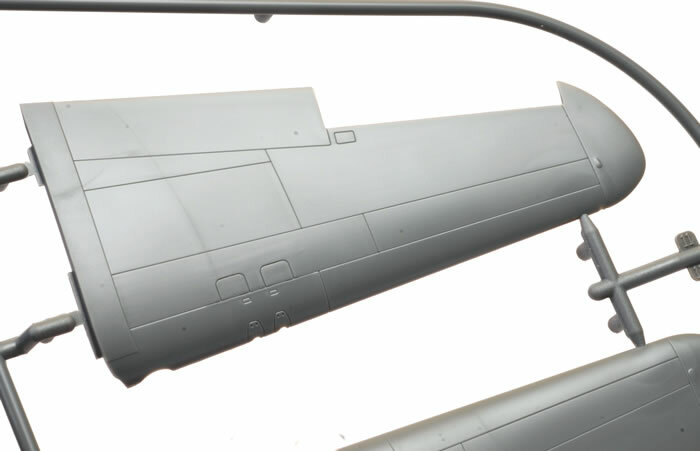 Its biggest problem was that the section of the fuselage under the wings was not represented correctly. 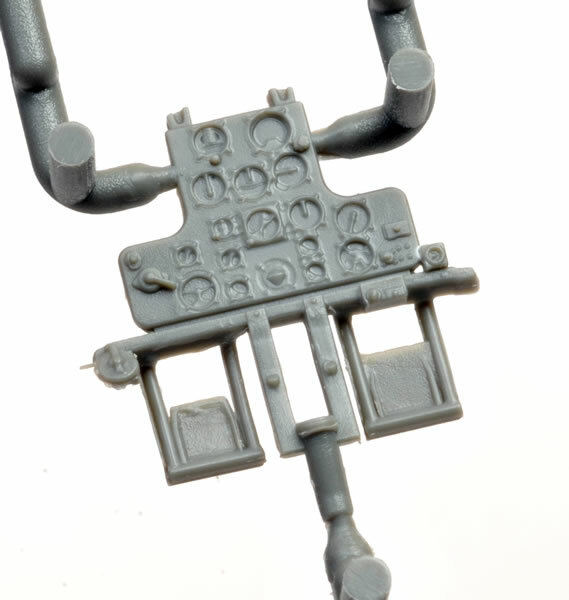 Rafe Morrissey published an article on how to address this and other problems associated with Hobbycraft's unloved Hawk. Next up to bat was Trumpeter. 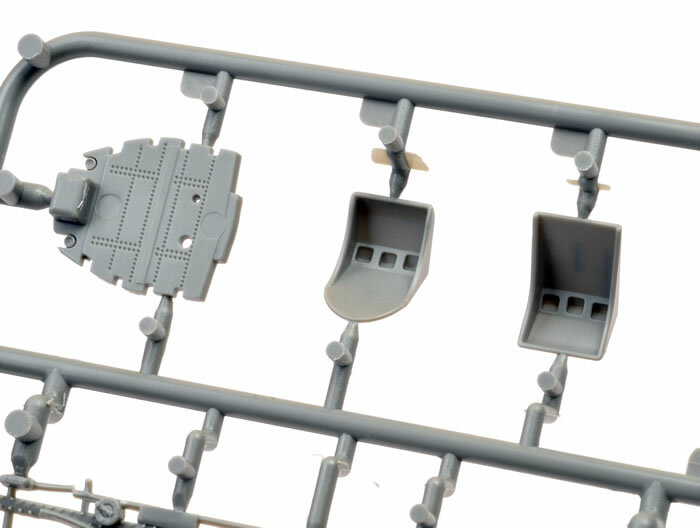 Their 1/32 scale P-40B kit had drawn flak two years previously due to a ridiculously shallow cockpit, poorly shaped tail planes and other shape and detail issues. 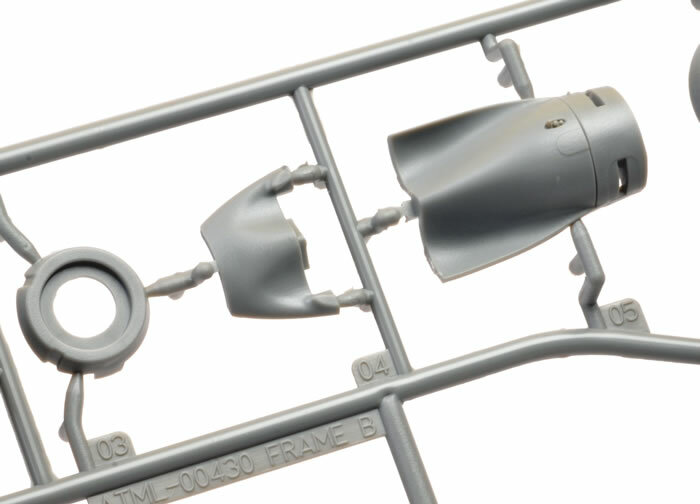 Sadly, most of these errors plus very heavy surface textures were foisted on their 2004 1/48 scale kit. 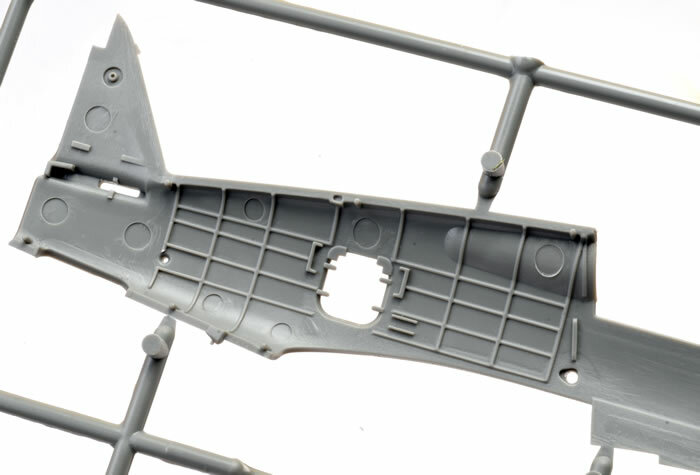 Bronco released an all-new 1/48 scale P-40C in May this year. It featured gorgeous surface textures and generally accurate outlines but also suffered some howling errors, most notably its very shallow cockpit, heavily exaggerated fabric sag, bulbous windscreen, poor canopy cross section, some detail shape problems (propeller blades; gap-toothed cowl flaps; shrinking radiator ducting etc. ); and thick horizontal tail planes. 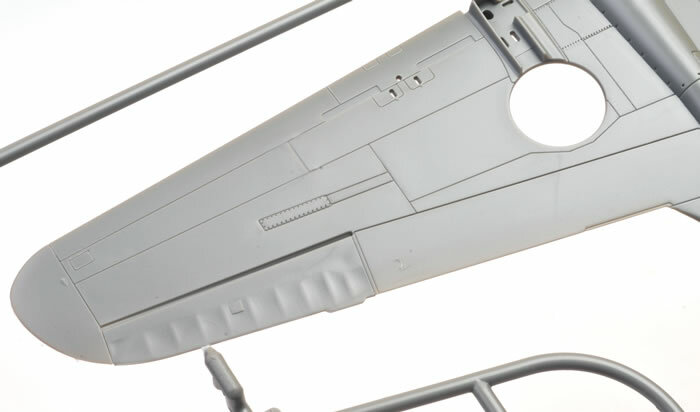 So are we still waiting for a decent 1/48 scale P-40B/C at the end of 2016. 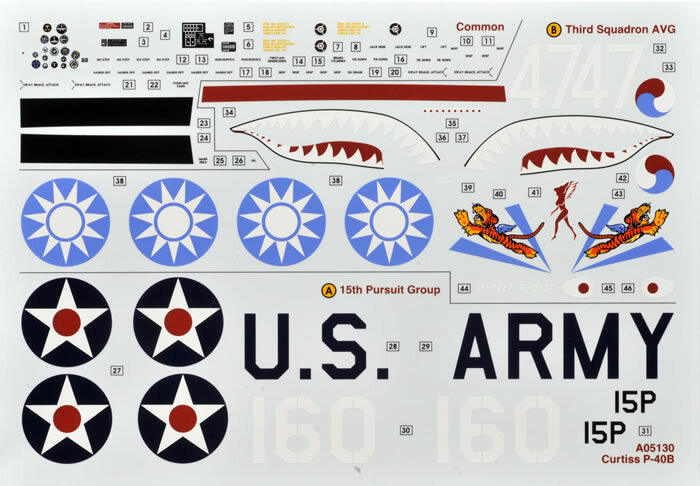 Airfix's 1/48 scale Curtiss P-40B comprises 91 parts in medium grey plastic, 12 parts in clear plastic and one decal sheet covering two subjects. Surface detail is by way of crisp, finely recessed panel lines. 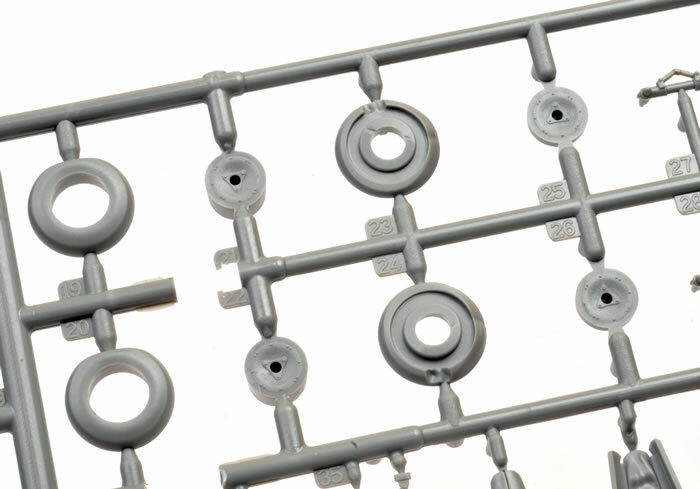 These are finer than previous Airfix efforts - I would say their best yet. Fabric texture on the control surfaces is subtle and convincing, but the scribing for the rudder trim tab is missing on the port side. 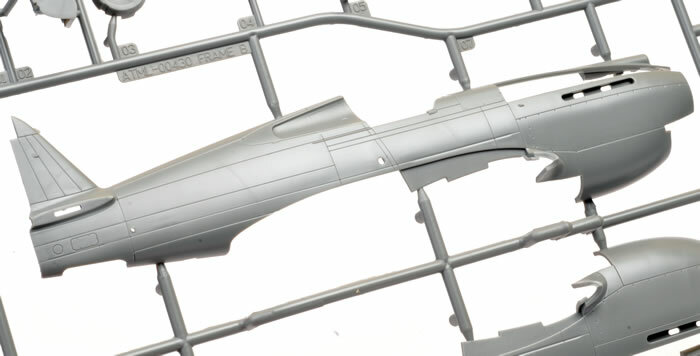 The fuselage is moulded as left and right halves with inserts for the cowl gun panels. 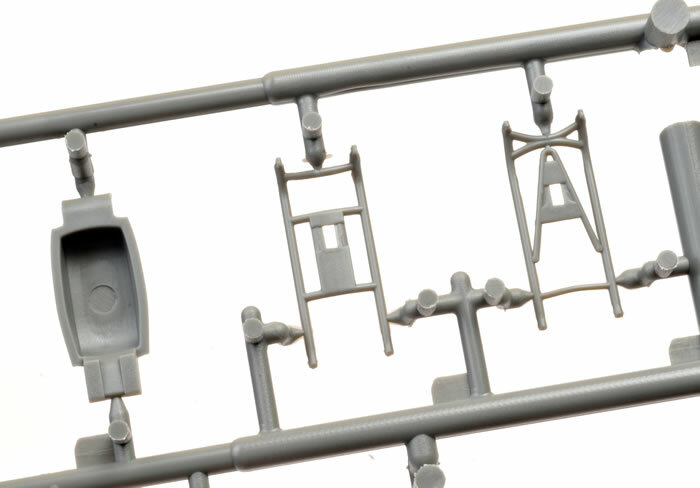 Two options are supplied for the cowl guns - long barrels and short barrels - although only the sort barrels are required for this version. 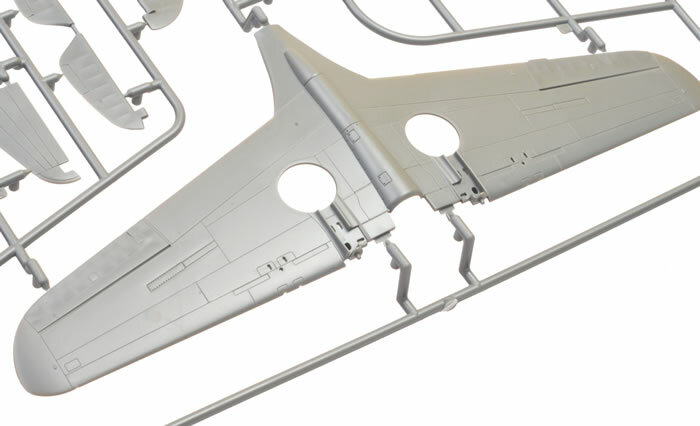 The wing root fillets are separate parts too, and the radio compartment hatch is also a separate part. Part A58 appears to be a basic radio that can be displayed behind the open hatch although it is not mentioned in the instructions. 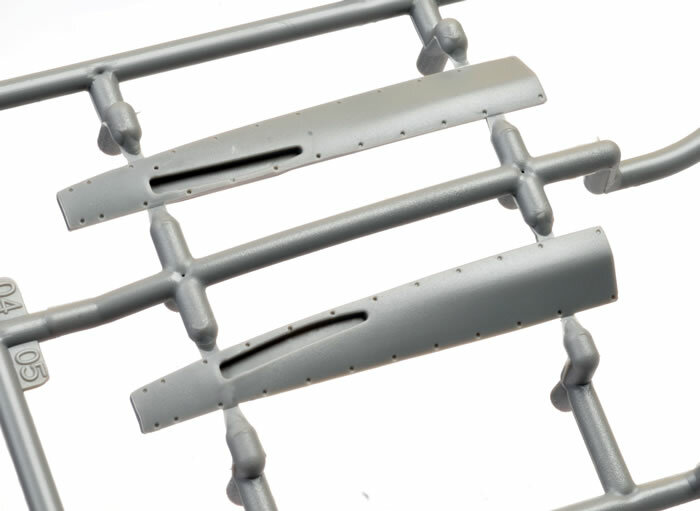 Optional parts are supplied for open and closed cowl flaps. Cockpit detail is made up from only 13 parts but the detail looks really good. The see-through cockpit sidewall frames with abundant moulded-on detail are a highlight. The correctly curved cockpit floor looks great too. 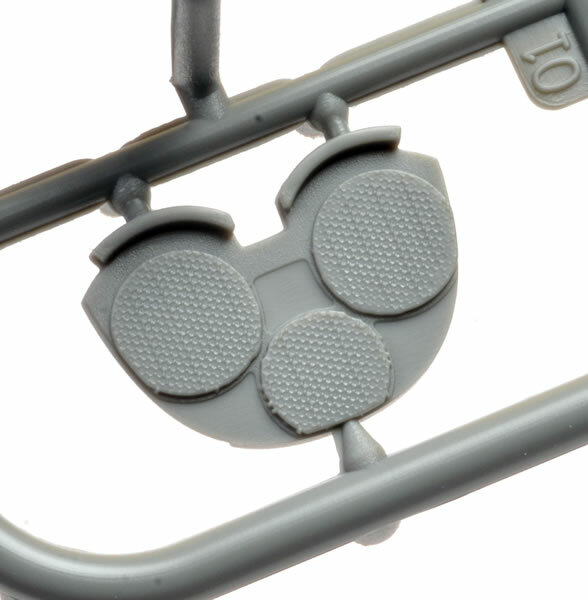 Airfix offers the choice of round backed or square backed seats. Different seat mounts are supplied for each option too. The instrument panel is a single plastic piece with raised bezels and switches. 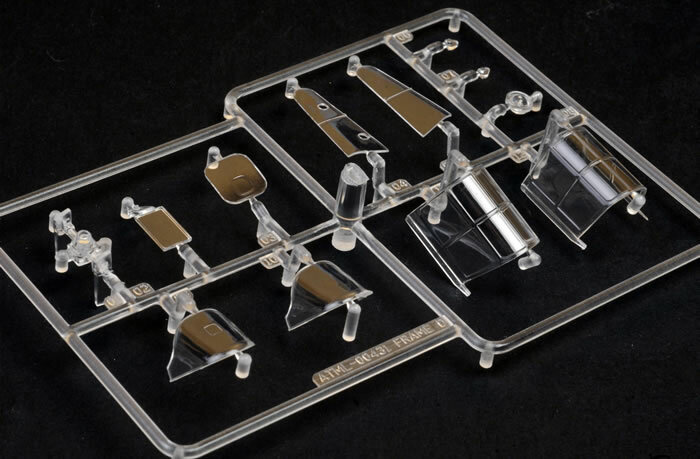 Decals are supplied for switches, placards, panels and an overall instrument panel. An optional pilot figure rounds out the front office. The elevators are moulded as a full-span pair and may be posed to taste. The rudder is separate too. 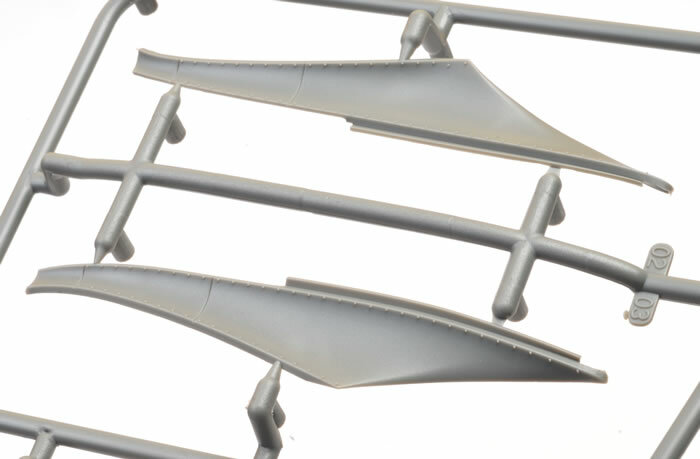 The ailerons are moulded as part of the full-span lower wing, while the flaps are fixed closed. The main wheel wells are moulded with fabric covers in place. These look very good and are only marred by one prominent ejector pin circle inside each wheel well. These should not be difficult to remove though. 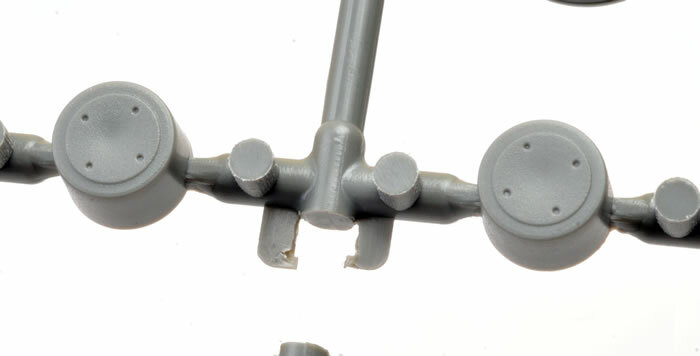 The hemispherical retraction gear covers on the wing leading edges are moulded as separate parts. The undercarriage may be built lowered or retracted. Separate wheels, undercarriage legs and covers are supplied for each option. 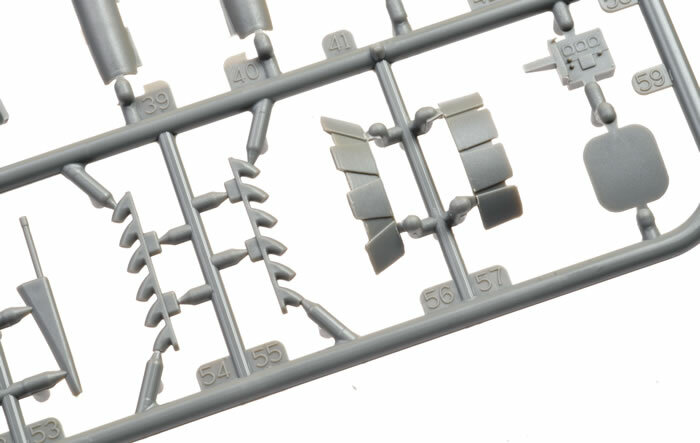 I like that Airfix has moulded the oleo scissors compressed on the lowered legs and extended on the raised - nice attention to detail. 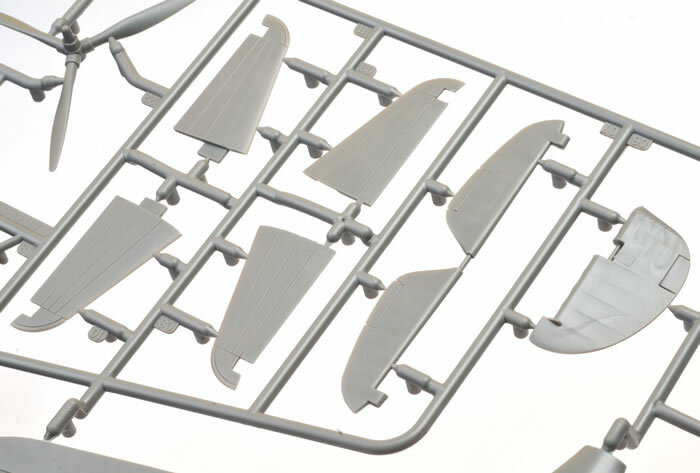 Alternative tail wheel parts are offered too. 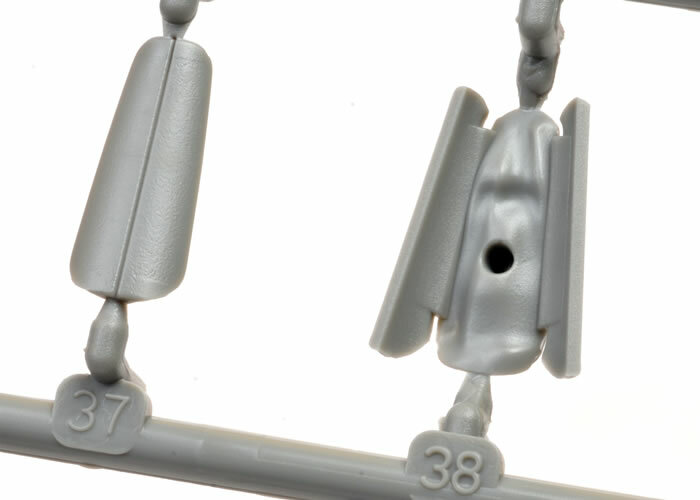 The exhausts are the tubular type, and two pitot tubes are provided - straight and kinked. 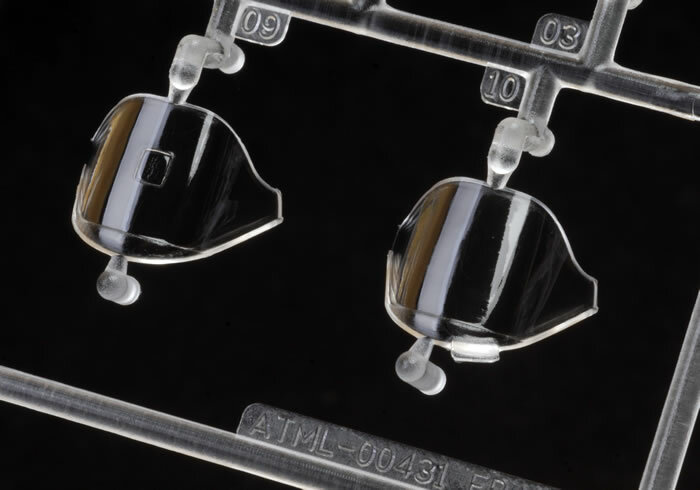 Clear parts are thin and free from distortion. Two windscreens may be chosen from - one with mirror and one without. Two different sliding sections are included too. One of these is for the closed position while the other is open. 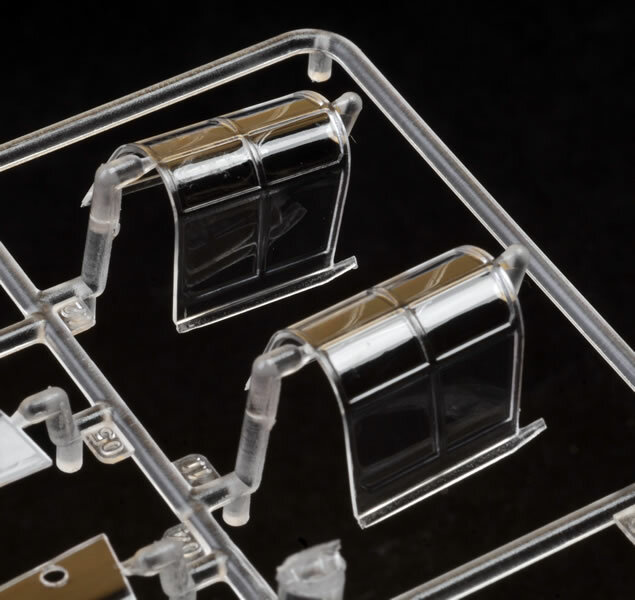 The clear sprue also includes a clear radio compartment hatch with a square window plus a camera, hinting at a future photo reconaissance version. Shapes seem to be generally accurate although there has been extensive discussion on HyperScale's Plane Talking Forum (and elsewhere) about the shape and size of the ventral fairing aft of the cowl flaps. Expert opinion is that it is a bit undernourished and also that it should flare out a few millimetres more near the front. This is tricky to describe and a little hard to spot, but you can check out this and various other threads on Plane Talking for more detail. P-40B, 47th Pursuit Squadron, 15th Pursuit Group, Wheeler Field, Oahu, Hawaii. 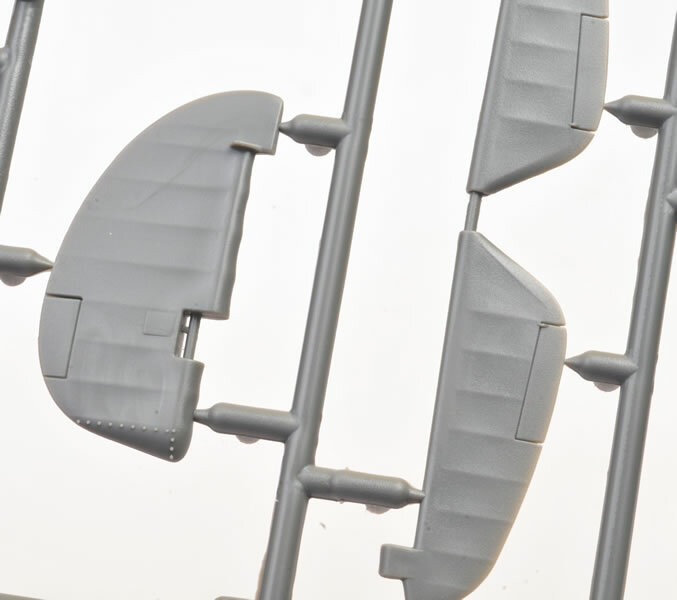 This aircraft is finished in Neutral Grey lower surfaces and Olive Drab upper surfaces. Curtiss Hawk 81-A-2, 3rd Squadron AVG, Kunming, China, June 1942. This aircraft is finished in DuPont RAF equivalent colours of Dark Earth, Dark Green and Grey with "Flying Tigers" teeth and Disney Tiger graphics. The decals are well printed and in register. At long last we have a worthy 1/48 scale Curtiss P-40B. 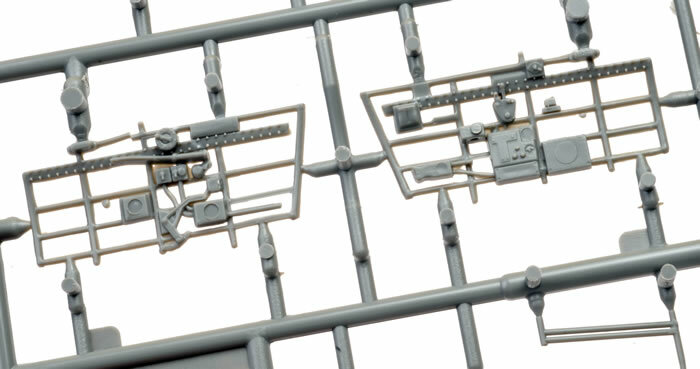 Detail is good, surface textures are Airfix's best yet, parts breakdown is sensible, and the kit is generally very accurate. There is still the issue with the shape of the raised ventral fairing but this is hardly a fatal flaw. 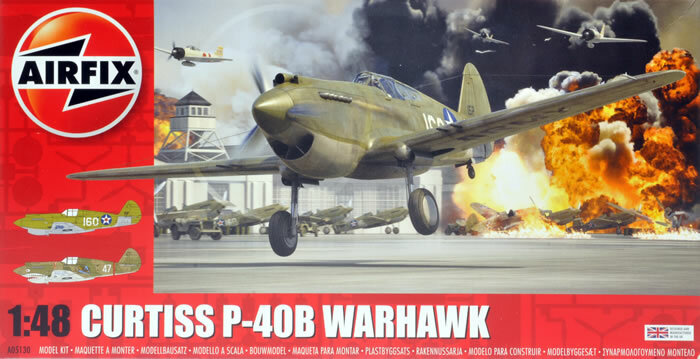 Airfix has now undoubtedly produced the best P-40B/C/Hawk 81 kit in 1/48 scale. There's nothing stopping you now! Kit purchased by the reviewer from Hannants.